One of the first critical steps in improving your health – Journaling! Have you been feeling sick? Stomach problems? Acne? Tired all the time? Depressed? Food is a key ingredient in overall wellness no matter what the illness. Before you can truly figure out what the root of the issue is you have to have an idea of what you’re putting in to your body and how it makes you feel. But I know what I’m eating, why should I write it down? Writing down everything you eat and drink can give you a better idea of what you’re really eating. So many of us do well at meals, where we plan out and measure, but then snack poorly between meals. 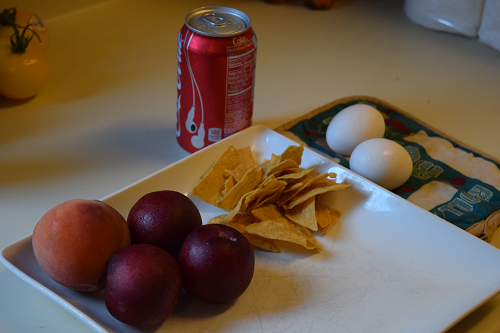 Adding a few extras, like a can of coke or a bowl of chips and salsa can add up quickly. Journaling raises your awareness of what you’re eating, when you’re eating, and why you’re eating. By writing down your feelings before, and after you eat, you can get a better handle of emotional or boredom eating and how you feel after you eat too much, too little, or just right. Writing down what you eat can also help you find trigger foods that may be making you mentally or physically ill. Keeps you from being a victim of portion distortion. Keeping proper track of your portions and measuring as needed allows you to stop portion keeping since eye balling portions can be difficult when you haven’t seen a proper portion size in awhile. As you get used to the correct portion sizes you can slowly ween yourself off of measuring everything. It allows you to watch your habits change. It can be so motivational to look back on how much progress you’ve made and how its changed the way you feel. Logging your food gives you more accountability and puts you in more control. Knowing you will have to write down what you eat makes you second guessing eating that daily donut or having that quesadilla at lunch. You may be the only person who sees it, but you still see it and just that little extra push can give you the accountability you need to fix those bad habits. You have a record for your doctor so she can help you fix your eating habits and your health or rule out food as a contributing factor for your illness. Allergens or trigger foods can be hard to pinpoint but keeping a log of what you ate, bowel movements, and your feelings before and after you ate goes a long way in helping diagnose underlying issues and illnesses. All of these foods represent 140 calories but they can all make you feel so different. Is the sugar in the soda going to make you feel as full as two hard boiled eggs? Which is going to make you feel jittery and on edge? 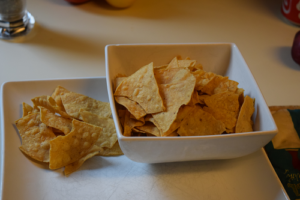 How about the ½ cup of tortilla chips (1oz)? Will that fill you up as much as having three plums (30 cal each) and a peach (50 cal)? Which is better for your digestion? There are two ways to start you out on this journey: A paper journal or a digital one. Which is better, really depends on you. Do you feel more accountable if you physically write things down in your own hand? If so then a paper journal would be better. When picking a paper journal make sure it is small enough that you can carry it around with you. A small notepad that may just be lined 3×5 paper but fits in your back pocket or purse would be a better option than a large day planner that is difficult to carry around. And make sure you have pens… Lots and lots of pens! Keep one in your pocket, in the car, in your purse or backpack, in the kitchen… Anywhere you will be using your journal on a regular basis. If you are more interested in being able to do it quickly and are a wiz with technology than a digital journal would probably be a better option for you. There are lots of options out there, many have apps you can download onto your phone. Whichever log you choose needs to have the ability to write notes and just make sure that you have your phone or tablet on you at all times so you can log. Food and Drinks. Every last swallow! Track your water and other beverages along with your food. Try and measure, when you can. As you log more and more you’ll get a better feel for how much a ½ cup is versus a full cup. Limit how much you eat out. It will get easier. Moods and feelings: Before and after you eat or drink or just when you think you’re hungry. Feeling hungry between meals but a glass of water stopped the feeling, track it. Were you having a bad day and it made you want to go out for dinner? Write it down. Did that burger and fries make you feel sick afterwards? Track it. Did that fish make you feel full without feeling bloated? Journal it. Tracking how you feel can make you recognize so many associations with food and eating that you may not have realized. Bowel Movements. No one likes to talk about poop but keeping track of your bowel movements can actually give you a lot of insight into how your digestion is being affected by what you eat. How often you go to the restroom and the consistency of your stool can give you and your doctor quite a few clues to your health. Who you ate with. Did you eat alone? Did you sit down to a family dinner at the table? In front of the TV? Did you go out to dinner with friends? Tracking who you ate with when you were at your best, or weren’t at your best, can open your eyes to when you may need to be more diligent in your efforts to watch what you eat. What other tips should I know before I start? Write as you go. Writing down what you ate or drank at the time you consumed it is going to lead to a much more fruitful and accurate journal than sitting down at the end of the day to track. Its easy to forget that extra cup of coffee and granola bar you had as your morning snack if you wait to write it down before bed. Don’t cheat. Cheating doesn’t help you because the only person cheating hurts is you. You’ll end up hurting your own self esteem if you know you lied. If you’re using a journal to help track illness, your doctor won’t be able to correctly diagnose any food issues you may have. Be specific. If you had gravy or whipped cream on your food include it. Even if its as benign as a salad, include it… And everything on it. Those little extras can add up. Don’t be too hard on yourself. It can be depressing at times to see that you ate too much while out or maybe had a couple beers when you shouldn’t have. But journaling allows you to see these mistakes so you can correct them in the future, not beat yourself up about the past. Journaling is an amazing tool that will make you a happy and healthier you. Kimbely Rollheiser-Revilla, DC AK is a holistic chiropractor that specializes in nutrition and the treatment of chronic illnesses please click here to see her full bio.